KAMPALA – As Parliament investigates Bank of Uganda over the controversial sale of seven commercial banks, a parallel team of 200 officers from the Inspectorate of Government is investigating the source of wealth of over 100 Central Bank officials, PML Daily has learnt. 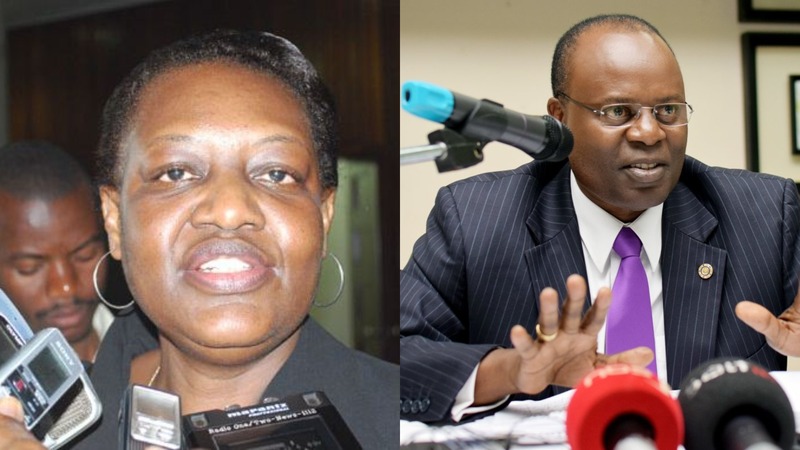 This website has seen a letter dated 18th October from the IGG to Dr Louis Austin Kasekende, the Deputy Governor, Bank of Uganda, informing the latter of the investigation into his assets, income and liabilities. “The verification exercise will commence within seven days from the date of this letter. Mr Victor Acidri, a senior principal inspectorate officer and Ms Doreen Tusiime, and inspectorate officer have been authorized to conduct the verification exercise and obtain information in respect of this matter,” the letter adds. Sources privy to the investigation have told this website that after several BoU officials declared many assets, the IGG had to deploy more manpower to verify the source of the assets. The Leadership Code Act 2002 requires all specified leaders to declare their Incomes, Assets, and Liabilities to the Inspector General of Government. The IGG move is said to have unsettled many BoU officials who accuse the government ombudsman of witch-hunt, especially in the face of the ongoing investigation over the controversial sale of Crane Bank and six other commercial banks. However, the IGG spokesperson, Ms Munira Ali, dismissed accusations of witch-hunt, insisting that the declarations of assets started with other government entities and BoU is not an exception. “We are verifying incomes, assets, and liabilities of BoU officials because the law requires that we do so. There is nothing like a witch-hunt, in any case, we have just completed Uganda National Roads Authority, Permanent Secretaries and Accountant and now we are handling BoU officials,” she said in an interview. It not clear whether the IGG started investigating the BoU officials in relation to the controversial sale of Crane Bank and other commercial banks that is a subject of a Parliament investigation. A report by the Auditor General, Mr John Muwanga, submitted to Parliament recently, indicates that during the period Crane Bank was under statutory management after being taken over by Bank of Uganda, more than Shs12 billion was spent by BoU on lawyers and consultancy fees without following the procedures or any indication that the money was meant to revive the bank. Other are Board members Judy Obitre Gama, James Kahoza, William Kalema, Keith Muhakanizi and Josephine Ossiya. Mr Tumubwine Twinemanzi the director for supervision, Mary Katarikawe- operations director, Joyce Okello, PA to Governor, Richard Mayebo, Director Risk and strategic management, Elliot Mwebya, IT director and Phillip Wabulya, Director Petroleum Fund are all under investigation. Others are Deborah Kabahweza, ED Finance, David Kalyango, Chief Internal Auditor, Charles Abuka, Director Statistics, Kenneth Egesa, Director Financial Stability, Valentine Otangole, Director Banking, Olive Kamuli, director Medical Administration, Macky Aomu, Director National Payment Systems and Christine Alupo, Director Board Affairs. Charity Mugumya, communication director; Hannington Wasswa, Director Commercial Banking, Ben Sekabira, director financial markets, Edward Mugerwa, director IT operations, Lorna Nzaro, Director IT Business automation, Kande Sabiti, procurement manager, Joanita Babumba, deputy director Agricultural credit schemes, Hassan Nyangabyaki, deputy director board affairs, Natamba Bazinzi, assistant director administration currency, and Angella Kasirye, assistant director corporate affairs are also named. Some officials declared ownership of assets in upscale city suburbs such as Ntinda, Bukoto, Makindye and Ggaba. One of the declarations of income, assets and liabilities forms filled by Dr Kasekende shows that he owns property worth about Shs8 billion in upscale areas of Kampala, Wakiso and other areas. He is also a shareholder of Green Hill schools, a farm in Bukasa valued at Shs500 million and several commercial buildings which fetch millions of shillings in rent per year. In the declaration form, Dr Kasekende says he picked loans from commercial banks and used his statutory salary, savings from research, gratuity payments and travel allowances to build rentals and acquire the assets. According to the leadership code, a government official who fails without reasonable cause to submit a declaration commits a breach of the leadership code and the act goes ahead to state that “a leader who, without reasonable cause, fails to comply with the Inspector-General’s request for clarification within thirty days after receipt of notice, commits a breach of this code and is liable to a warning, caution, dismissal or vacation of office and a leader who knowingly or recklessly submits a declaration or gives an account of any matter which is false, misleading or insufficient in any material particular, commits a breach of this Code. Former BoU director for supervision of commercial banks Justine Bagyenda has already been investigated by the Financial Intelligence Authority (FIA) over allegations of illicit accumulation of wealth and allegations of money laundering.